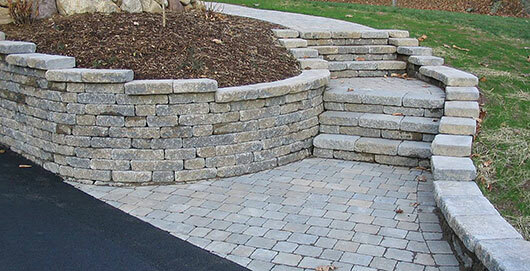 “We did our very first interlocking paver installation with 10” of sand base,” chuckled Ted Greiner, president of TJB-INC. That was in the early-1980s when interlocking pavers first arrived in Ted’s little piece of Connecticut. He says they jumped at the opportunity because no one else was doing pavers. That also meant there was no one to learn from. There were no training classes and minimal resources of any kind available in that pre-Internet era. 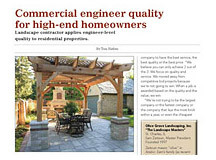 Today, Ted’s certifications include: NCMA SRW Level 1 Installer, CT Turf & Ornamental Supervisor, CT Arborist, ICPI Paver Level 1 Installer, ICPI Permeable Paver Installer, Certified Master Aquascape Contractor, NOFA Certified Organic Landcare Professional, U-Conn Certified Advanced Master Gardener, Mauget Certified Injector and many others. Ted found that promoting his drainage services was a good avenue toward attracting well paying work. Doing things correctly also allows Ted to charge for consultations, $125 minimum. If they create a design or any other type of solution for any of their work, they charge a consultation fee for the education /solutions. 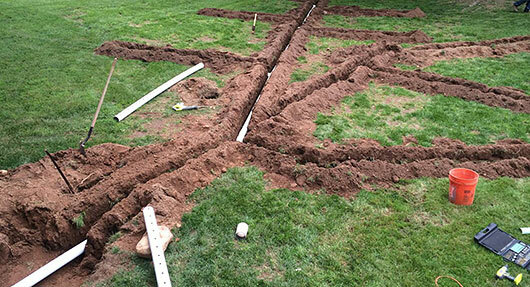 If someone presents them with a design and asks for an estimate to install it, they will provide the estimate for free as the state of Connecticut requires for all home improvement-related estimates. Here’s an example of how Ted distinguishes consultations from estimates. If he has to visit a site and create a drainage solution, he charges for that. But, if someone says, “‘I want 12 arborvitaes planted in a row. How much?’ I would do a free estimate on the phone for that. I'll ask them to send me photos. I’ll look it up on Google Earth, get an idea what the area looks like, if there are outcroppings of rocks, if it’s a wet or dry area. Ease of access? 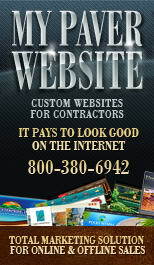 Then, I'll call them back and give them some ideas and prices without needing to do a site visit or design. Charging for consultations also weeds out less than qualified prospects so Ted doesn’t waste his time with price shoppers. Ted’s ground probe gives him a feel for the make-up of the substrate 4’ below the surface of the property. 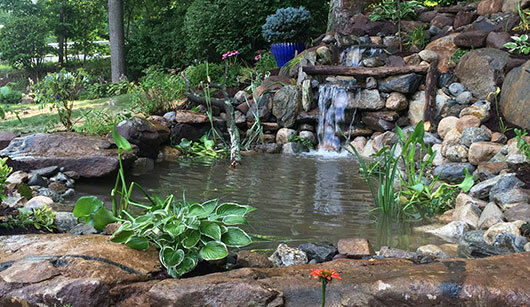 When Ted makes a site visit to price a hardscape project, he does several tests that help determine site conditions and impress prospects that he knows what he’s doing. Ted tests the deep substrate with a 4’ fiberglass ground probe. He checks for buried utilities with a magnetic locator and he evaluates soil thru a site dig. Ted pushes the metal tipped ground probe into the soil to check the density of the soil. “Am I hitting lots of rocks or pipes? Can I only go down 6” because I'm hitting a ledge or clay soil? “I was testing a gravel driveway the other day. Once I broke thru the first 6” my probe went down a whole 4’. I showed the client. I said, ‘That means it's very soft underneath.’ Then, she remembered that when she was a child in the '50s, her parents had hedges there. I said, ‘That explains why it is sinking. That's not the place to put your driveway.’"
If the probe comes out of the ground wet, Ted knows there are water issues he’ll have to deal with, and how far down they are. The probe is especially useful to test for compaction near newly constructed swimming pools and foundations. 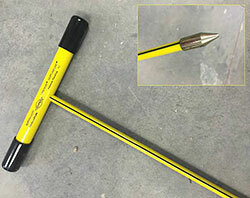 Ground probes are available at contractor supply stores and online. One thing the ground probe doesn’t show is what type of soil a site has. To test that, Ted does a site dig, something he learned at an ICPI training class. Ted’s CST/Berger Magna Trek magnetic locator detects buried utility lines. “One of the instructors said, ‘Does anybody bring a shovel with them to an estimate?’ Nobody raised their hand. He said, ‘How do you know what you're building on top of? Dig a little hole. The customer will like it.’ What a great idea. For years that's what I've been doing. As he’s doing the test, Ted tells the client what he’s looking for, maybe a story about surprises he’s found at other sites, and what his findings mean for their project. Ted uses a CST/Berger Magna Trek magnetic locator to look for buried utility lines in the work area. He says his Magna Trek is similar to the tools public utilities use thru Diggers’ Hotline. Additionally, Ted says the utility services only mark public utilities. They don’t mark undocumented lines that a homeowner or handyman may have put in. Ted says he’s found many unmarked or mismarked utility lines and pipes over the years with his equipment preventing accidents and unnecessary repairs. Ted cautions that his Magna Trek, like the Diggers’ Hotline tools, only detects ferrous metal, not copper, aluminum, etc. so they’re always careful digging. He says selling ponds is different from selling pavers. That’s because a pavement is something that the client is going to use while a pond is something they look at and enjoy. 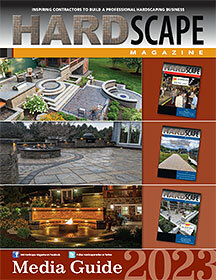 “If the client wants a walkway, it could be concrete, or stepping stones, gravel, or it could be pavers. You sort of have to get them to buy up, so it's a little bit tougher to sell. 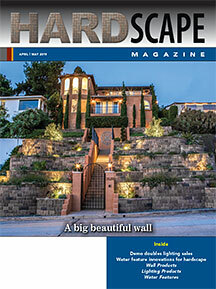 Drainage is another specialty market with less competition. Ted says people with water problems don’t take it lightly and are willing to pay for an expert who can diagnose and fix it. Once TJB-INC solves the drainage issue, the yard becomes useable so a share of these clients become interested in further improving their outdoor living space. 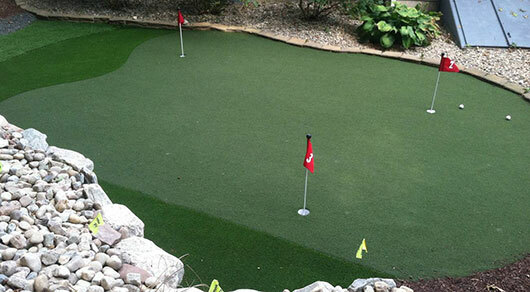 TJB-INC builds natural grass putting greens too, but not as many of them because most homeowners don’t want to or cannot keep up with all the daily maintenance they require. Ted started an online store, ShopTJB.com, back in the early 1990s and it’s still going strong today with annual sales of $1 million plus. 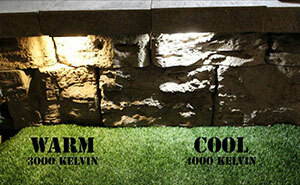 The store sells hardscape lighting, water garden supplies, putting green supplies, wildlife traps, lawn art and more. 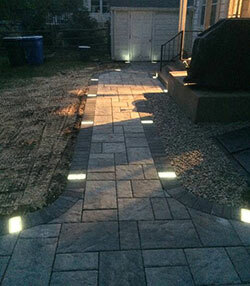 Ted created the Solar Brick Paver Lights for contractors who had been buying the 12-volt wired lighting products he was selling. A recent Connecticut law requires a low-voltage license to install any type of wired lights. So, most of his contractor customers couldn't legally install them in anymore. Check out Ted’s online store ShopTJB.com.